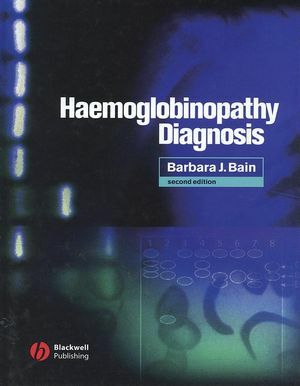 This unique book is written by Barbara Bain, a leading haematologist with a reputation for her educational prowess in the field. It provides a concise overview of the haemoglobinopathies and focuses on the selection, performance, and interpretation of relevant laboratory tests. The tests dealt with are mainly those done regularly in diagnostic haematology laboratories. Where more specialist tests are required, the reader is given an overview of what the specialist centre will do, with guidance on what the result will imply. This book is extremely practical in orientation and is an essential reference volume in the haematology laboratory. 1. Haemoglobin and the genetics of haemoglobin synthesis. 2. Laboratory techniques for the identification of abnormalities of globin chain synthesis. 3. α, β, δ, and γ thalassaemias and related conditions. 4. Sickle cell haemoglobin and its interactions with other variant haemoglobins and with thalassaemias. 6. Acquired abnormalities of globin chain synthesis or haemoglobin structure. 7. Organization of a haemoglobinopathy diagnostic service. 8. Self-assessment - test cases. "As you would expect from Barabara Bain there is a wealth of superb microscopy photographs for peripheral smear, bone marrow and trephine slides. This new edition has been updated with 43 new pictures. A particularly valuable text for students preparing to sit MRCPAth or Advanced Practitioner examinations."